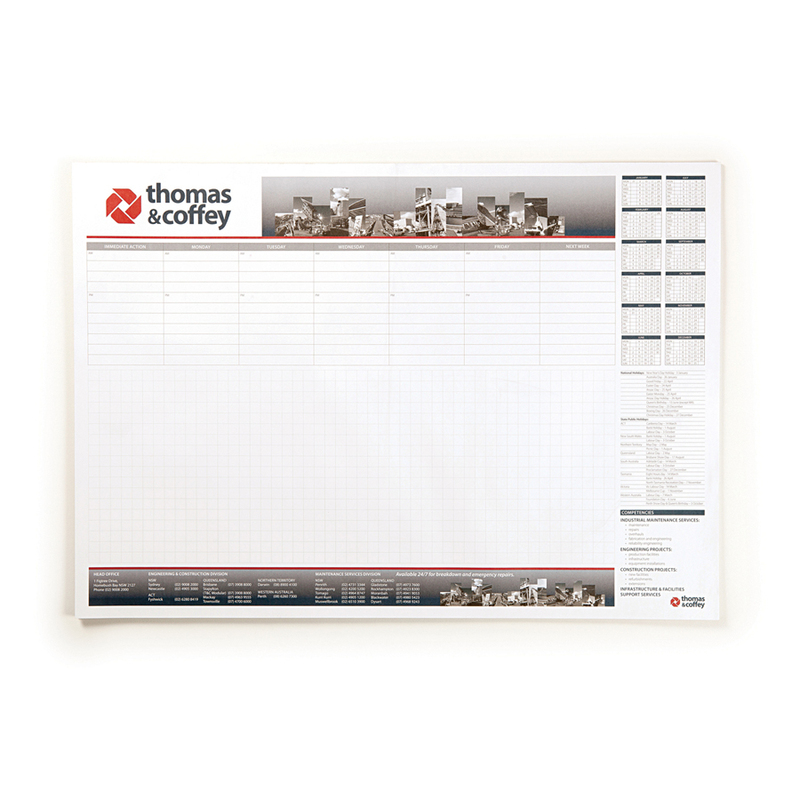 An A3 notepad that contains 25 leaves and features your printed logo and design. If you need a large A3 sized notepad we've got you covered! These pads are printed with a 4 colour process and have sheets that are glued together at the head with a strawboard backing. This pad includes 25 leaves of 80gsm white bond paper. Ask one of our team for design suggestions today! Poly bagging is also available for an additional charge.